Mansur Ali Khan Pataudi, a former India cricket captain who led the country to its first series victory abroad, died Thursday at a local hospital where he was being treated for a lung disease. 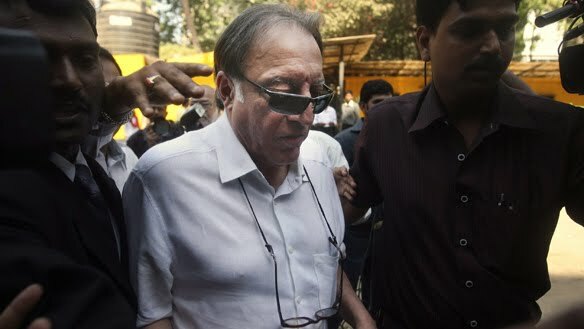 The Ganga Ram Hospital said Pataudi died Thursday evening. Pataudi was India captain in 40 of his 46 tests from 1961-75, scoring 2,793 runs with six centuries. He adjusted his batting style well despite the loss of sight in his right eye due to a car accident early in his career. Pataudi became captain at 21 and won nine tests while leading India over New Zealand 3-1 in 1968 for its first series victory away from home. Pataudi was of royal lineage and his father, Iftikhar Ali Khan Pataudi, was the only cricketer to have played tests for both England and India. A charismatic leader and dashing batsman, Pataudi is credited with changing the mindset of Indian cricketers. The more positive approach in subsequent years saw India win a pair of epic series in England and the West Indies in 1971 under his successor, Ajit Wadekar. He also captained English county Sussex and Oxford University and was named Wisden cricketer of the year in 1968. After retiring from the game, Pataudi was a match referee for the International Cricket Council, a consultant with the Board of Control for Cricket in India and a governing council member of the Indian Premier League. Pataudi also edited a sports magazine during the 1990s. Pataudi is survived by his actress wife Sharmila Tagore, son Saif and daughters Soha and Saba. Saif and Soha are also actors.